According to the OECD, the United States had an employment growth rate of 3.2% between 1998 and 2007 for female college graduates, which makes the United States rank twenty-sixth out of the 30 member nations of the OECD. South Korea ranks first, at 9.8%. 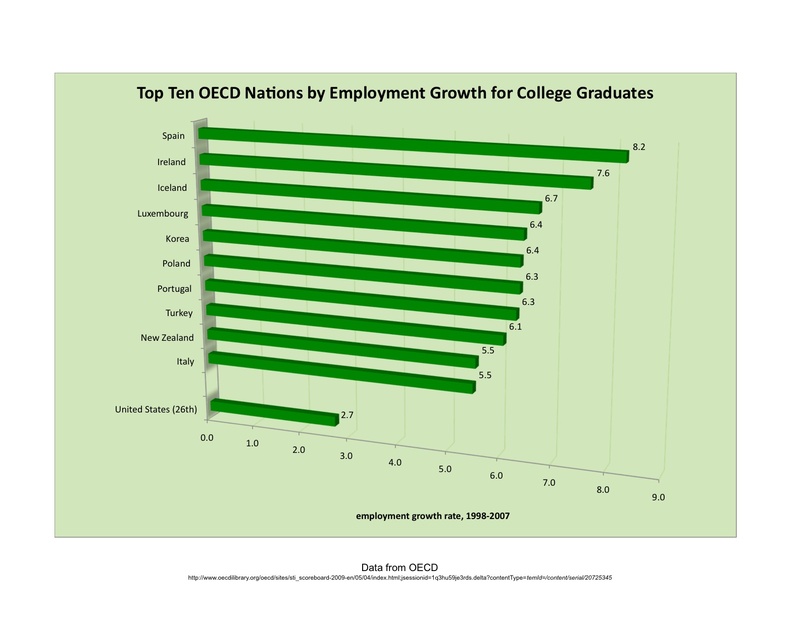 According to the OECD, the United States had an employment growth rate of 2.7% between 1998 and 2007 for college graduates, which makes the United States rank twenty-sixth out of the 30 member nations of the OECD. 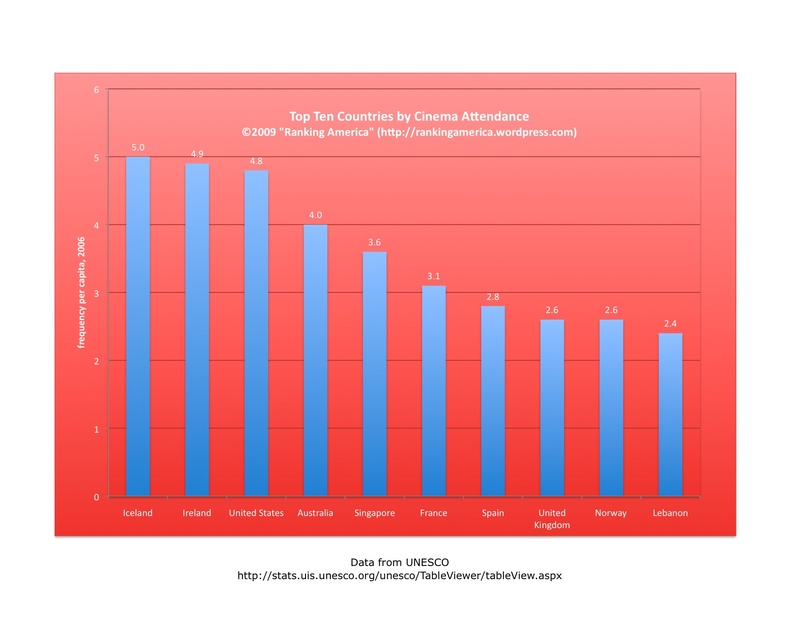 Spain ranks first, at 8.2%. 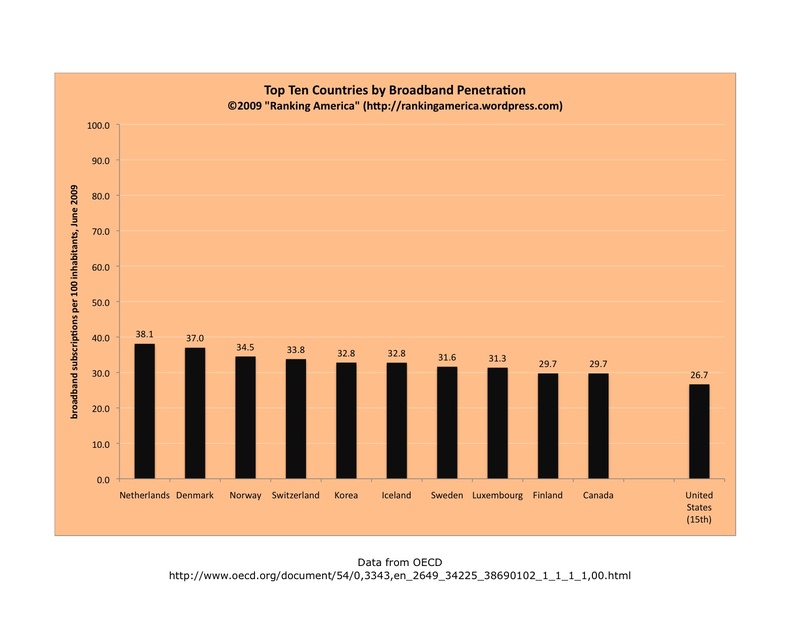 According to the OECD, as of June 2009 there were 26.7 broadband internet subscriptions in the United States for every 100 Americans, which makes the United States rank fifteenth out of thirty OECD member nations. Then Netherlands ranks first, at 38.1 subscriptions per 100 inhabitants. According to the World Resources Institute, there are 285 known amphibian species in the United States, which makes the United States tied for seventh with Indonesia in that category. Brazil ranks first with 695 known amphibian species. 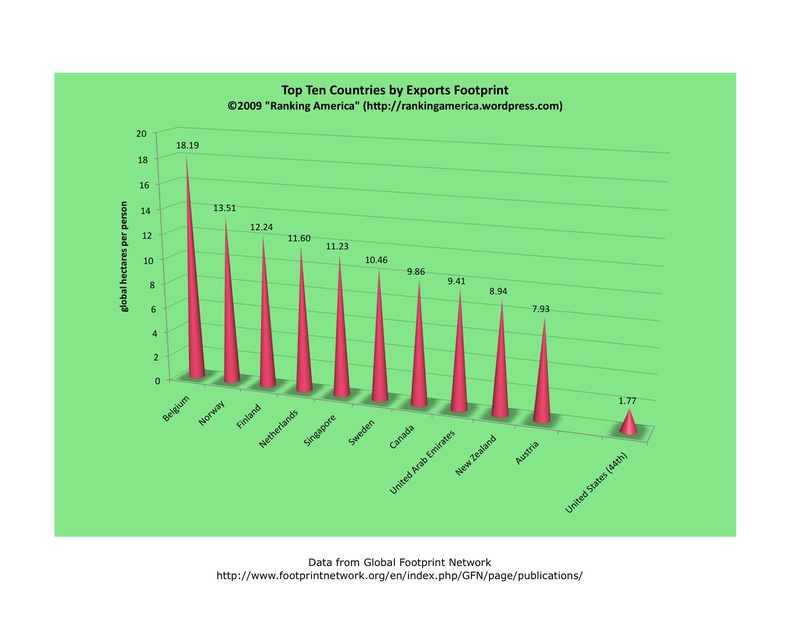 According to the Global Footprint Network, exports in the United States have an exports footprint of 1.77 global hectares per person, an amount that makes the United States forty-fourth in that category. Belgium ranks first, with its exports footprint for imports at 18.19 global hectares per person. 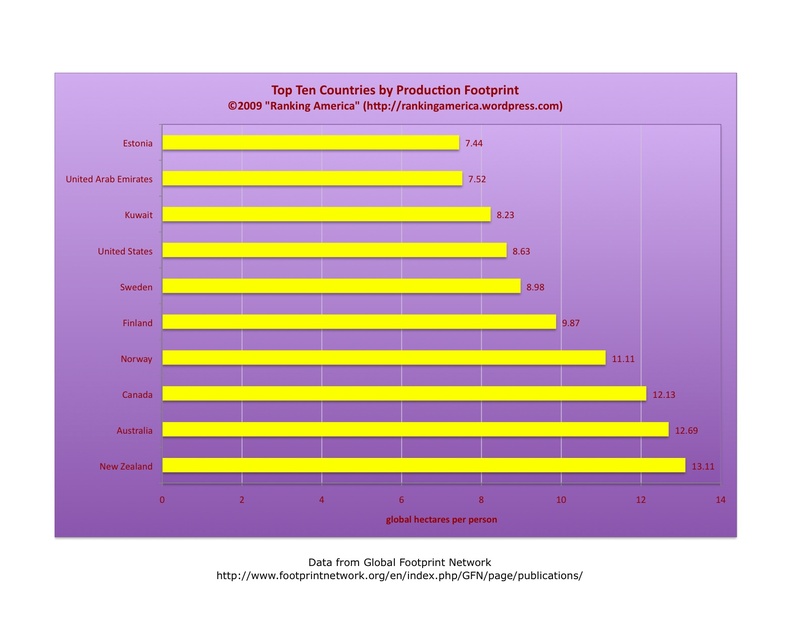 According to the Global Footprint Network, the United States has a production footprint of 8.63 global hectares per person, which makes the United States rank seventh in that category. 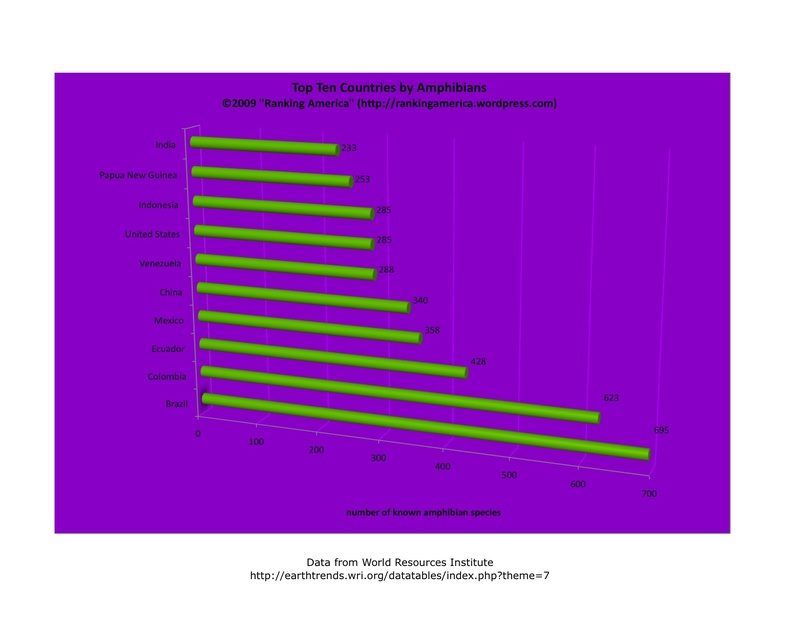 New Zealand ranks first, at 13.11 global hectares per person.